Summary: There are three rules in the Walled City: Run fast. Trust no one. Always carry your knife. Right now, my life depends completely on the first. Run, run, run. Review: In her author notes, Ryan Graudin states that when she learned about the Kowloon Walled City in Hong Kong, she was reminded of the settings of many dystopian novels. I agree with her because while dystopian novels are very popular, there are parts of the world where many teenagers already live in a dystopian world. Graudin continues to write that her imagination ran wild with stories ideas upon learning about the various types of people who lived in a .010 square mile of space, and we are all the better for it. The Walled City is a intense thriller, that is full of action, yet has many quiet moments between characters that allow us to really connect and empathize with them. It was clear that Ryan Graudin did her homework before starting to write this lovely novel. She writes the setting to clearly, so well, that I can picture the twisting alleys and stacks of apartments that practically blocks out all sunlight perfectly. In fact, the Walled City, Hak Nam, almost feels like a character itself, so rich were Graudin’s descriptions. Little details, such as places were Jin and Dai purchase food, to the grander details such as Dai’s thinking place, really gave a sense of this dense city that is filled a large number of people in a small amount of space. While Graudin’s setting definitely set the tone of the novel, the three main characters, Jin, Dai and Mei Yee, had the most impact on me. All three were written with depth and care that made them seem like real teenagers living/surviving horrible circumstances. The fact that Jin disguises herself as a boy doesn’t seem like a gimmick but a real reason that makes the reader understand what is really at stake. The opening scene with Jin running from some teenage thugs and then coming across an escaped victim of human trafficking, reinforces this fact. When one contrasts Jin’s life with her sister Mei Yee, we really understand her decisions. Dai is the definition of the reluctant, flawed hero who has a dark past but is working hard to redeem himself. He is burdened from the results of a costly mistake, but he’s not the type of character whose walling becomes annoying. We understand why he is driven to change his life, and why it is so important to him that he achieves his goals in 18 days. Lastly, I was surprised at how Mei Yee’s situation was handled in the novel. She is a victim of human trafficking, and I wondered how Graudin would express this fact, and I’m glad that she is very truthful with the ugliness of this deplorable practice. Mei Yee was not the often portrayed “spunky girl trying to fight her way out”, but as a real victim, one who is forced in this situation, makes the best of it, while longing for freedom. Not once, however, did I feel like Mei Yee was helpless. In fact, when she does decide to fight back, you worry for her because the reader clearly understands how deadly her captives are and what could potentially happen to her if she should fail. The connection these three characters have really brought me into the story and I was rooting for them to succeed, even when it didn’t seem like it. 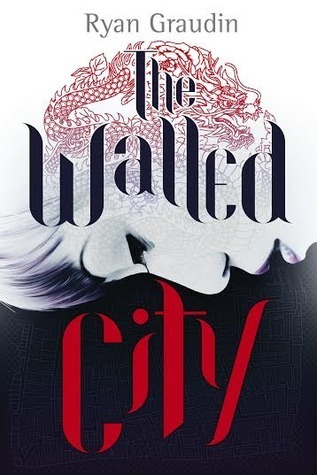 I’d heard a lot of buzz about The Walled City and I have to say that this novel definitely lived up to the hype. Ryan Graudin wrote a touching, yet intense novel that tackles the lives of a group of people in a unique situation with care that did not fetishize Chinese culture, nor sensationalize life among a criminal sect. I really came to care for Jin, Dai, and Mei Yee and enjoyed the time I spent with them. Those three have stayed with me in the days since. That is the mark of a great book. 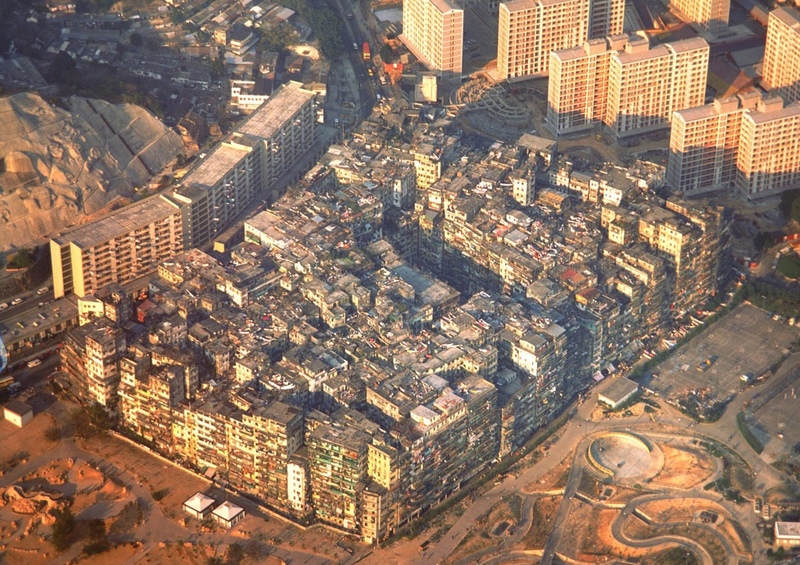 In case you’re interested, here is a CNN article on Kowloon Walled City.